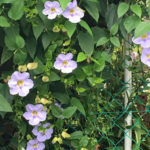 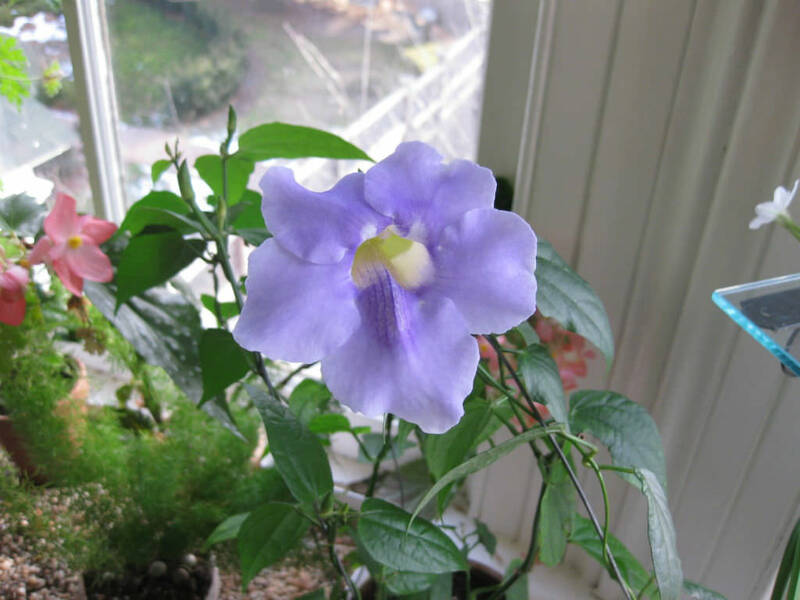 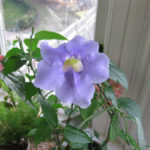 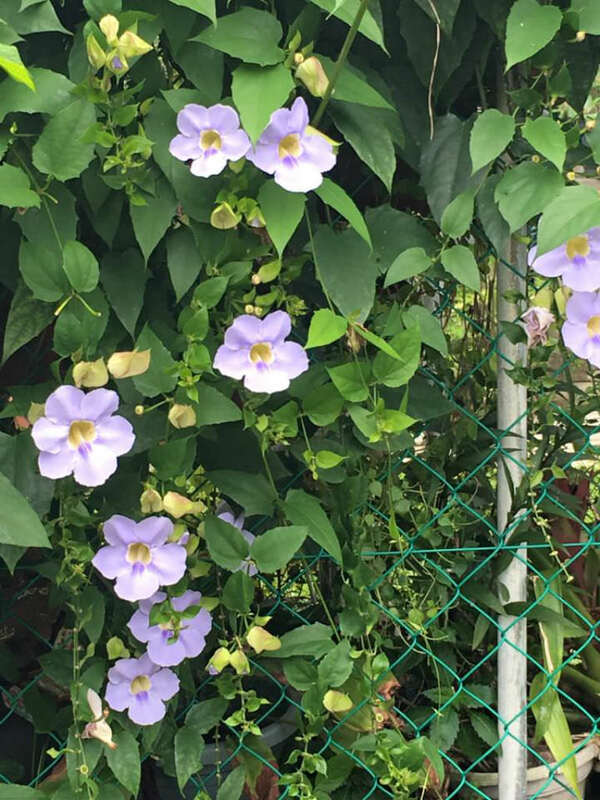 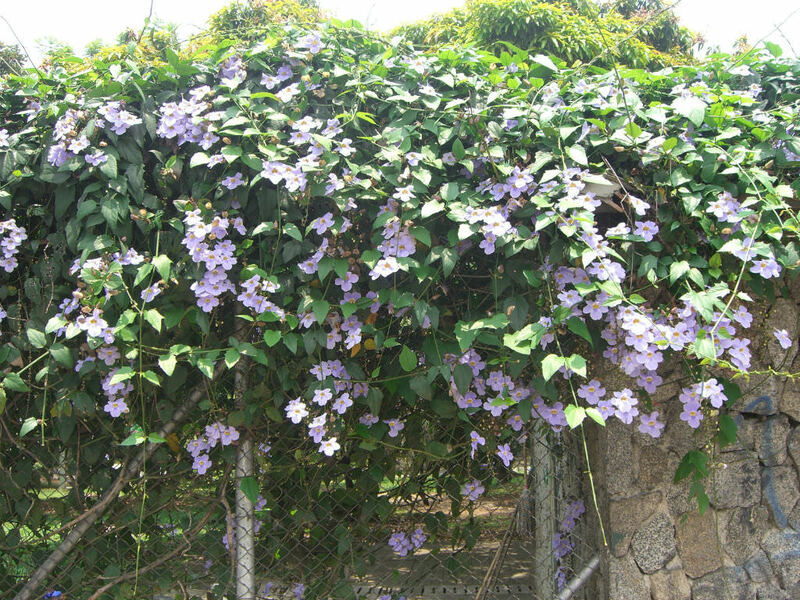 Thunbergia grandiflora is a vigorous, evergreen vine with thick tuberous roots from which emerge rope-like stems holding up to 5 inches (12.5 cm) long dark green leaves that have a slightly toothed margin. 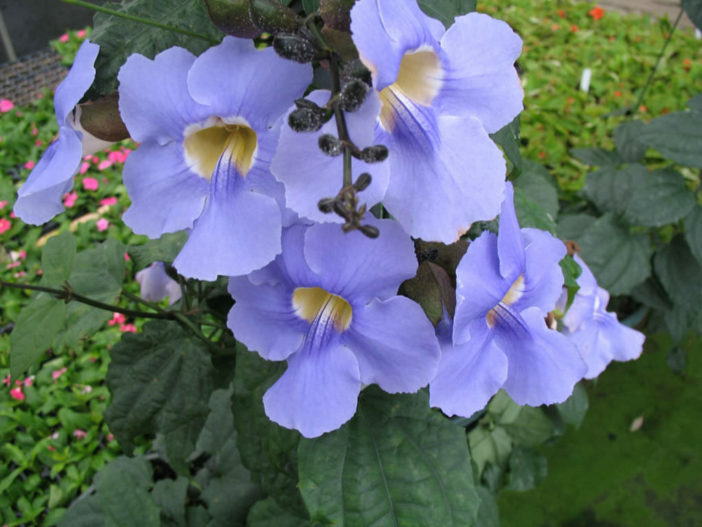 From mid summer to late fall appear the beautiful, up to 3 inches (7.5 cm) wide, pale blue, tubular, flaring flowers that are cup-like with pale yellow to cream blue striped centers. 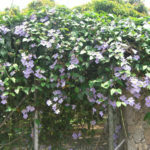 Native to China, India, Nepal, Indochina and Burma and widely naturalised elsewhere.